I moved to Texas and married a Texan. I had no idea how to make a Texas (or southern) favorite - Chicken Fried Steak. 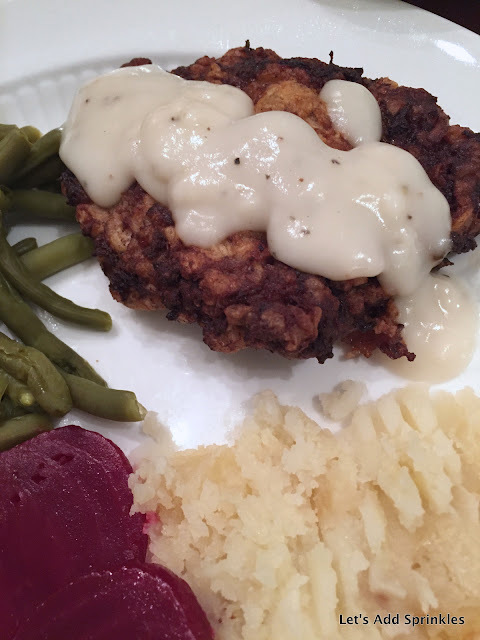 It took some hands on training with a next door neighbor from Georgia and years of practice but this recipe is worth all the fuss and trial and error. 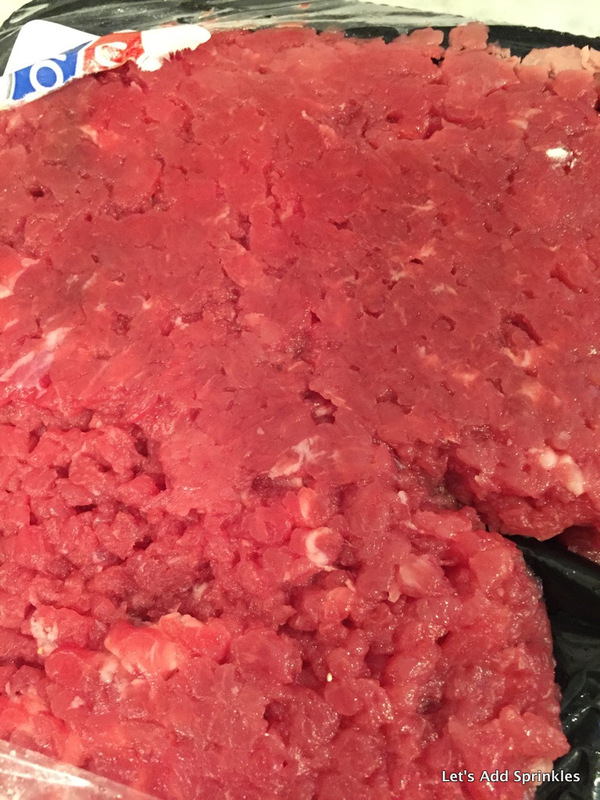 You will need some cube steaks, flour, eggs, salt and pepper. Salt and pepper some flour to taste. Dredge the cube steaks in the flour. Dunk them into some slightly beaten eggs. 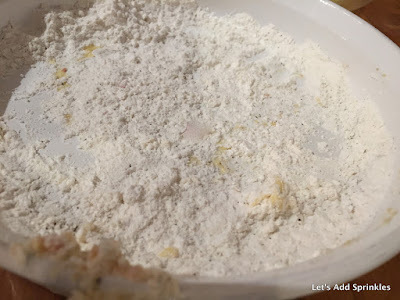 Dredge them through the flour one more time. Plunge the breaded steak into a skillet of very warm oil. It should bubble when you put them in. We use my mother in law's cast iron skillet. It is very well seasoned. If you are a vegetarian you might want to look away at this point. Cook it for a few minutes until you see some blood seeping up. I told you to look away! Flip the steaks and continue cooking for five minutes or until brown on the other side. You don't want to continue to flip these. 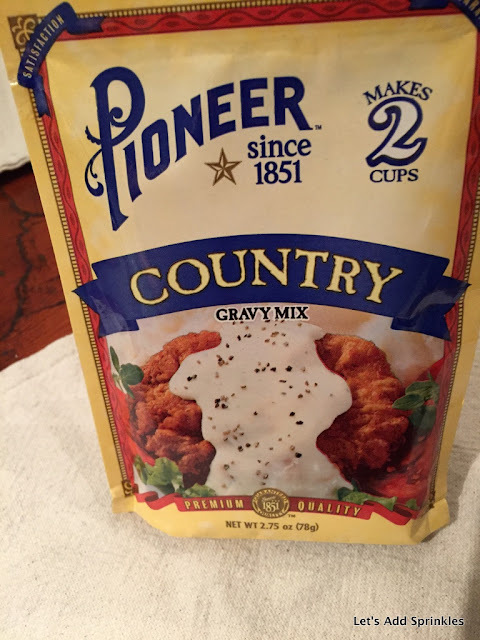 That could knock off the delicious, crunchy breading which is probably illegal. 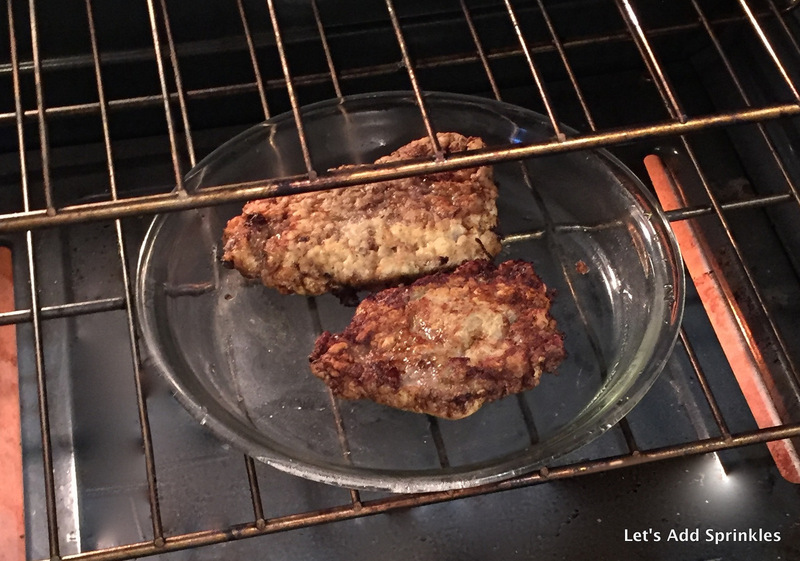 I move the cutlets to another pan and finish cooking them in a 350 degree oven for about 20-25 minutes. Do not be intimidated by my clean looking oven. It's photo edited. In real life, it is a mess. Somebody needs to clean! 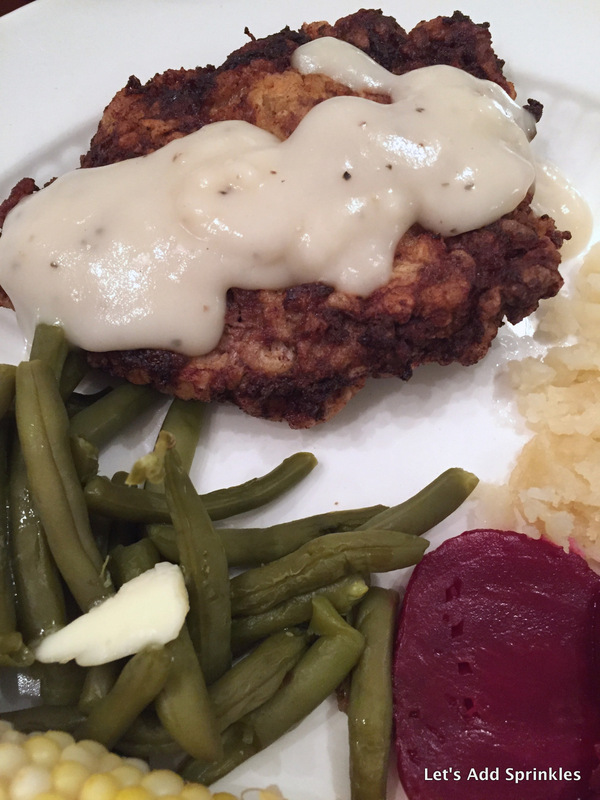 While the chicken fried stead is baking, make the cream gravy. You could make it from scratch. Bill and I never have milk in the house so this works fine. Chicken Fried Steak is confusing to those that live up North. 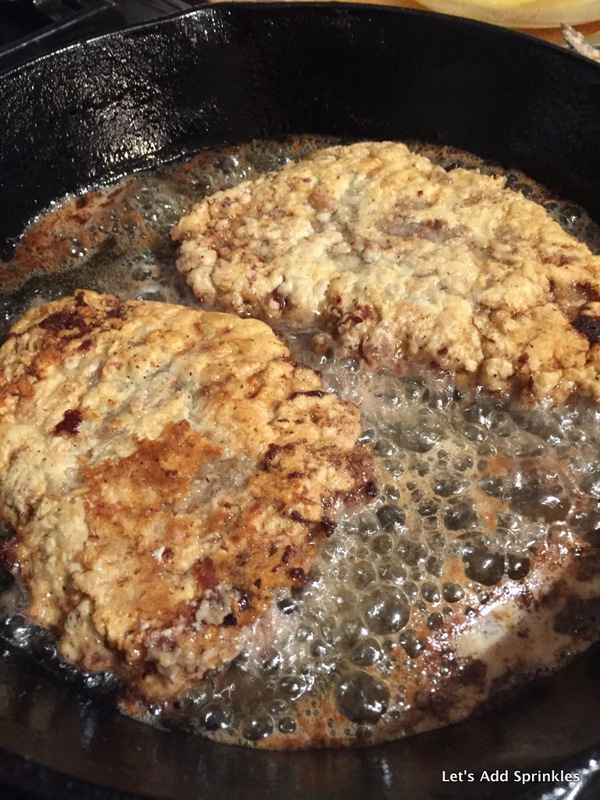 It is a steak that is fried like chicken. Yep you did it right. Just almost how I do it. 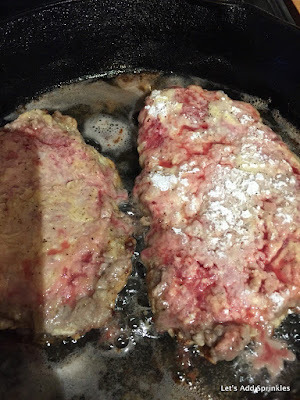 I was thinking of writing a post the other night when I cooked some. I love that clean oven! I wish I had photo shop. That's exactly how my mom does it! 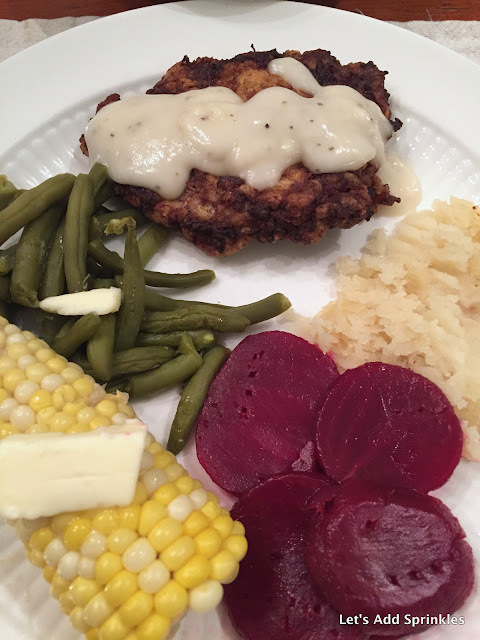 I have never made chicken fried steak but it's definitely a soul hugging great food! Your steak looks perfect! I don't like when the restaurants make them all puffed up with too much breading and you can hardly find any meat under all that breading. 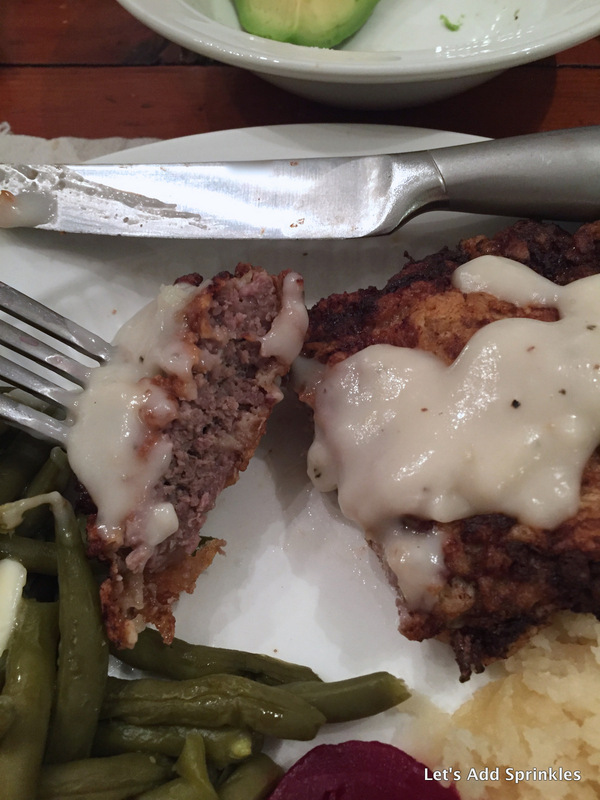 When I was younger I used to love chicken fried steak....now I still love it but I stay away from it! :) Looks great, oh my gosh. Kind of drooling now, thanks! Growing up, chicken-fried steak was my favorite meal. ... doubt in my mind I would order the CFS with crispy onion strings, corn and Texas toast. Gotta admit that it always did confuse me, so thanks for enlightening me. Looks delish!